Here is a 16×12 photo from the 1976 League Cup Final. 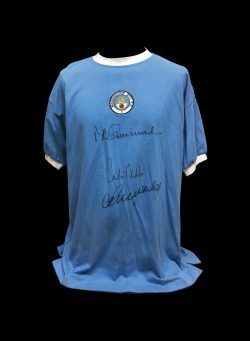 An iconic images of one of the greatest cup winning goals of all time, Dennis Tueart scoring his famous overhead kick during City’s 2-1 over Newcastle. 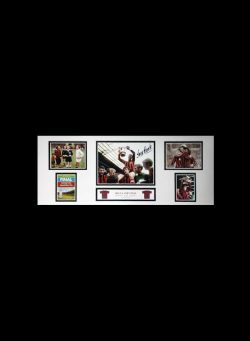 The photo was personally signed by Dennis in Manchester on 26th October, 2008 at a signing session carried out and attended by Allstarsignings. 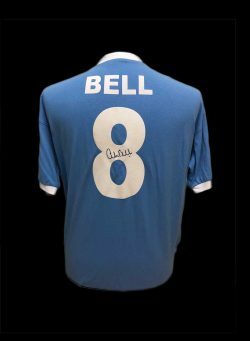 Colin Bell signed Manchester City number 8 shirt. 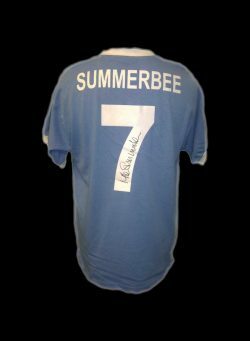 Mike Summerbee signed Manchester City number 7 shirt. 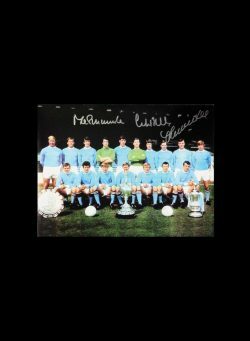 Bell, Lee & Summerbee signed 16×12 photo.